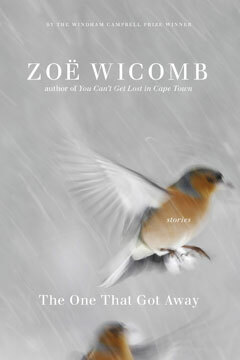 The appearance of Zoë Wicomb’s first set of short stories, You Can’t Get Lost in Cape Town, precipitated the founding of a fan club that has come to include Toni Morrison, J.M. Coetzee, Bharati Mukherjee, Gayatri Chakravorty Spivak, and writers at the New York Times, the London Times, the Wall Street Journal, the New Yorker, and the Christian Science Monitor. Now, after two novels, Wicomb returns to the genre that first brought her international acclaim. Set mostly in Cape Town and Glasgow, Wicomb’s new collection of short stories straddles dual worlds. An array of characters drawn with extraordinary acuity inhabits a complexly interconnected, twenty-first-century universe. The fourteen stories in this collection explore a range of human relationships: marriage, friendship, family ties, and relations with those who serve us. Wicomb’s fluid, shifting technique questions conventional certainties and makes for exhilarating reading, full of ironic twists, ambiguities, and moments of startling insight. Long awaited, The One That Got Away showcases this established, award-winning author at the height of her powers.